Major League Rugby is in its second year of competition in North America. It has brought fast-paced rugby union action to people in the United States and Canada and, so far, the reaction from fans has been good. It is claimed that rugby is the fastest growing sport in the U.S. Thanks to the growing popularity, and more school kids discovering the game, eight of MLR’s nine clubs are based stateside. The MLR season is nearing its climax and fans are excitedly anticipating the playoffs. Fans can learn more about standings as well as rugby betting and wager on the team they support or believe will win the championship. MLR’s inaugural season featured seven teams (Seattle Seawolves, Glendale Raptors, New Orleans Gold, Utah Warriors, Austin Elite, San Diego Legion, and Houston SaberCats). The 2019 edition added two clubs with MLR expanding into Canada (Toronto Arrows) and New York (Rugby United New York). The added teams increased the number of games clubs play from eight to 16. Interestingly, MLR wants to add further expansion teams for the 2020 season. The New England Free Jacks, Old Glory DC, and an Atlanta team are expected to start play next January. The league would increase to 12 teams and more matches would be played. The biggest exposure MLR has had during its first two seasons has been the television coverage it enjoys. The ESPN, CBS Sports, and AT&T Sports networks all have rights to televise MLR games. MLR has greatly benefitted from modern sports coverage and a need for networks to show content. In addition, traditional North American sports such as gridiron football and baseball are not drawing the same interest they once did. MLR and rugby union are being exposed to a new audience thanks to modern technology. Teams have also agreed regional cable sports network deals, while games are aired via Facebook Watch. 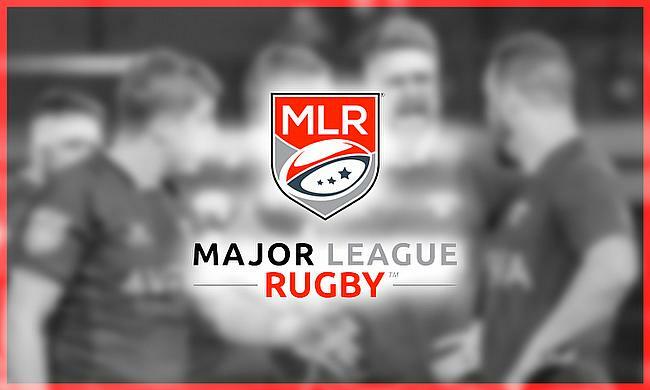 Compared to the long road Major League Soccer journeyed to get significant television contracts, MLR is lightyears ahead. Has North America noticed MLR? Despite television coverage, MLR is still unknown to many North American sports fans. It isn’t necessarily the league’s fault. It is competing in a North American sea of sports. Many sports fans on the continent aren’t sure what rugby is. According to former Samoa international Kane Thompson, the levels of rugby experience and quality vary in the league. Thompson stressed there are a lot of newer professionals in MLR that are eager to learn. More sports fans will take notice as the quality within the league improves. One way that will happen is by attracting top players with competitive salaries. According to research, the average salary for MLR players is over $58,000 per season. Will MLR crack North America and be a success? Only time will tell but, so far, MLR has got off to a good start.